‘Land of High Passes’ Ladakh is a region in Jammu and Kashmir that fascinates travelers from all over the globe. Leh Ladakh Tours is one of the sought holidays in India. The mountains draped in snow, high-altitude mountain passes, meandering roads, crystal-clear lakes, ancient monasteries, lush valleys, and the far away from the world location truly inspires to travel to Ladakh. The ‘Little Tibet’ as the region is fondly called is a blissful haven. When making plans for a holiday in Ladakh, there is a lot to think about. From the best time to visit, how to reach, where to stay, what to see and do, the questions are many. To solve the confusion that steps in with planning, Ladakh tours offers the chance to simply find your calling and have a wonderful time. Be it sightseeing, river rafting, camping, or Ladakh trekking tour, the options of adventure abound. Enjoy festivals, stay in homestays, absorb Ladakhi culture or escape your schedules and chaos of cities while you indulge in the simple pleasure of the mountains. Riding on a motorbike is a thrilling experience and making it all the more wonderful is a Ladakh Bike Trip. Passing through the challenging terrain of Himalayas, the bike tour is one of the best memories of a lifetime. One of the most popular of Ladakh holidays, the outing is available from Manali in Himachal Pradesh as well as Srinagar in Kashmir. To enjoy the ultimate thrill, this Ladakh adventure trip on motorcycle has been luring adventure aficionadas from all corners of the globe. Ride through the barren hills, highest mountain passes in the world, pose with the witty sign boards on the way and enjoy life on the road. Arrive to Leh, acclimatize in the high-altitude and check out the tourist attractions in Leh Ladakh. Best time to visit for bike tour in Ladakh: A Ladakh road trip requires to be planned only during the best time to visit. As the roads are covered in snow and inaccessible for half of the year, book the tour in the peak of summer and the monsoon season. 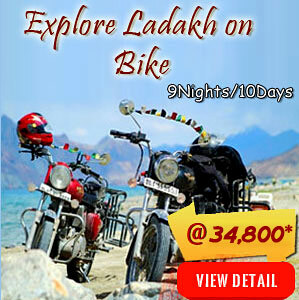 From end of May to October, you can plan a motorcycle tour to Leh Ladakh. The bliss of mountains is the reason for the popularity to travel to Ladakh. The Best of Ladakh Tour introduces to the myriad charms of the land. If you like to travel with family and friends, this is one of the best of Leh Ladakh group tour packages. Opening up to the scenic beauty, which can be only described as out of the world, there is more to this popular tour in Ladakh. Explore monasteries sharing roots with Tibet, dating over centuries. 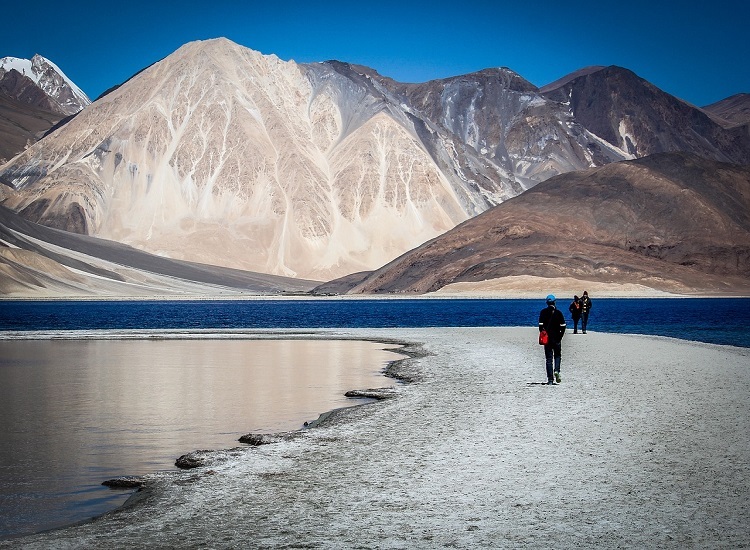 Bask in the bliss of crystal-clear lakes of Pangong, Tso Moriri and more. Visit isolated villages, and the unique wonder Nubra valley, the cold desert with sand dunes inhabited by Bactrian camels. Journey across the world’s highest mountain passes that include Khardung La Pass and confluence of Indus and Zanskar River. Also, take a look at the best places to see in Ladakh, including Leh Palace, colorful markets and more. Best time to visit: As this tour involves the best tourist attractions of the land, then the season to choose is from May to October. June-July is absolutely blissful for your plans. Combining the blissful charms of both Kashmir and Ladakh, two of the most beautiful places on Earth, the Ladakh trip plan is sure to grant you memories of a lifetime. Each of these valleys in the lap of Himalayas are the soul of the mountains. 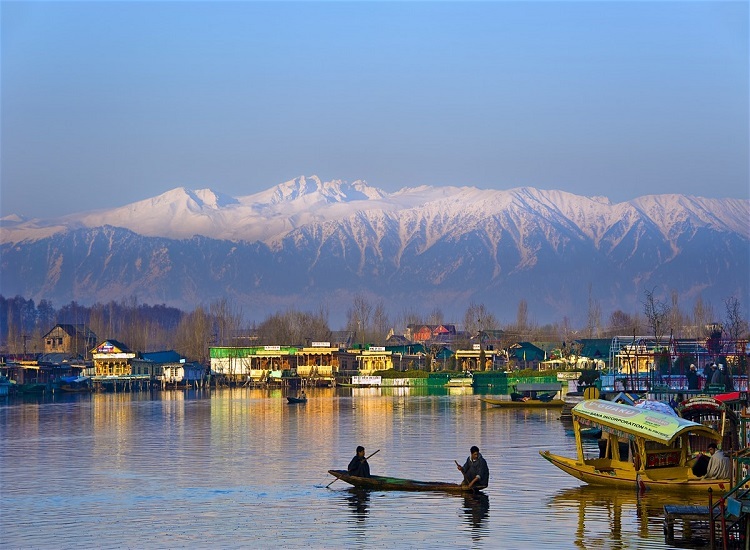 Kashmir known as ‘Heaven on Earth’ is blessed with beauty that inspires fall in love while Ladakh inspires to dare. The Srinagar to Ladakh road trip passes through surreal beauty that sets the mood for the cherished holiday. Enjoy the abundant opportunities of adventure the mountains abound in as does places to see and things to do. From the lush valleys of Kashmir to the high mountain passes of Ladakh, bask in bliss. Pay respects to the guardians of the region as you cross Kargil, one of the highest battlegrounds in the world. Best time to visit: The summer and monsoon season in India, which lasts from May to almost October is the time to pack your bags for the expedition. The lure of Ladakh holidays is the thrill of the unexplored. If you have the quest, then this is the best choice among the most popular tours in Ladakh. Explore the mystical beauty of the land in addition to some of the wonders that only Ladakh is home to. From the cold desert in the mountains to lakes inhabited by rare birds, ancient valleys that has one of the greatest civilizations named after it, discover the best places to visit in Ladakh. 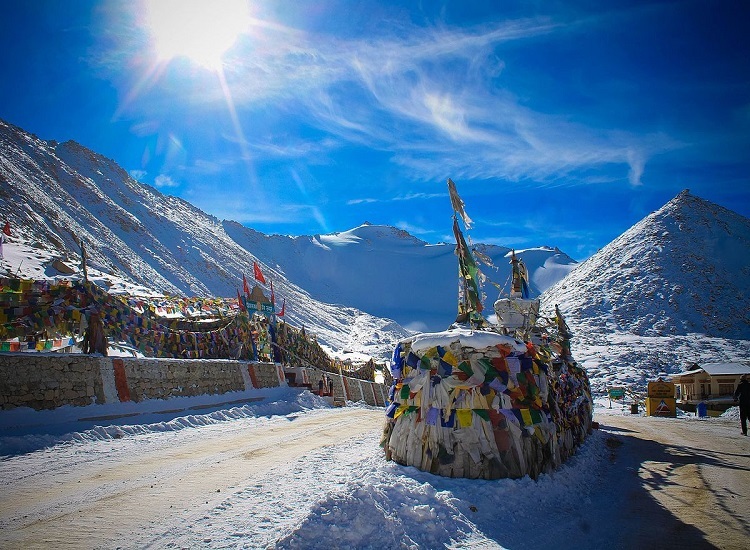 Pass through the Khardung la, one of the highest mountain passes in the world. Camp by the Pangong Lake, reveling in the picturesque bliss. Explore the ancient Buddhist Monasteries with their mysteries and other enchantments. Best time to visit: Yet again the best time to visit for Ladakh tours is the summer and the monsoon seasons devoid of the harsh cold. 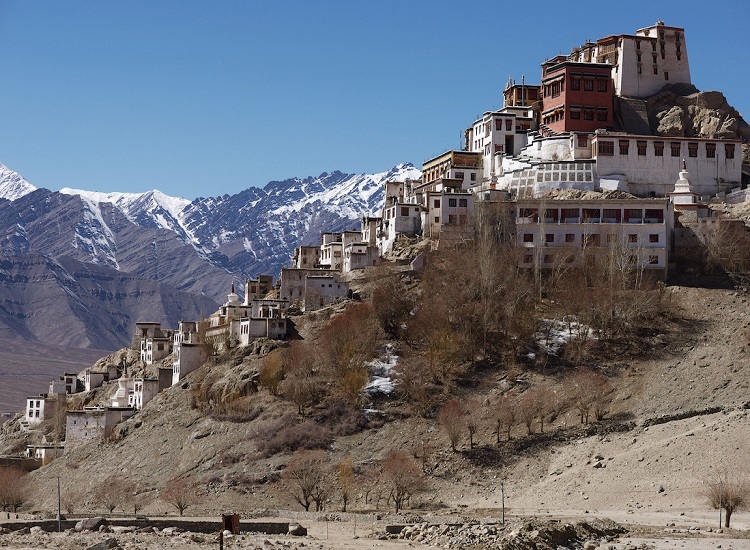 Lastly, we come to the Jewels of Ladakh tour, one among the sought travel packages for Ladakh. The unique landscape in the lap of Himalayas is the land of myriad treasures. The most charming of places to see in Ladakh make this holiday truly memorable as does the adventure activities and the experiences. Perfect for all planning a holiday in Ladakh, especially couples, the tour offers only the best of the land. The attractions of Leh, capital city deserve a special mention. The ancient Leh Palace, colorful markets and historical alleys are impressive. Other highlights of Ladakh Tours are not far behind. The monasteries preach the teachings of Tibetan Buddhism, in addition of marvelous architecture, colorful handicrafts, and many festivals. Camp along the Pangong Lake or pass through the highest mountain passes to make this journey an absolute cherished memory. Best time to visit: The best of Leh Ladakh tour packages require the bets time, especially between the months of May to October. Ladakh tours lure all travelers, be it family, groups and even couples for the ultimate experience of one’s life.